I’m over winter, completely done with cold weather, and hope not to see ice on my driveway again. I’ve worn more heavy sweaters in the last two months than I have in the previous ten years. With sleet and possible snow in the forecast, it seemed like a good day for chili. 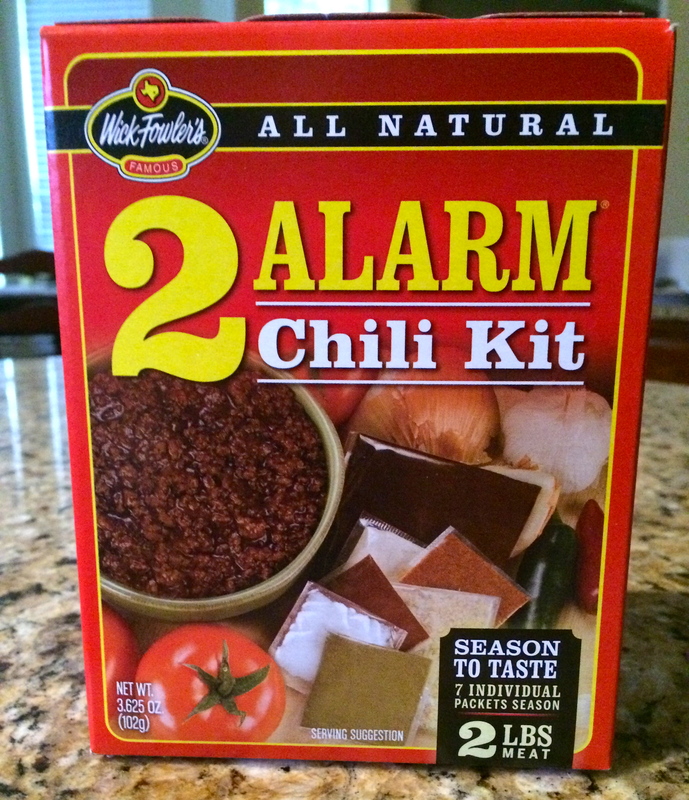 Wick Fowler’s 2-Alarm Chili Kit has been the foundation of my chili-making for years, but I didn’t know the historical significance of the recipe and its creator until very recently. Homer Thomas Wilson (Wick) Fowler was born in East Texas, close to the town Karen and I call home. After joining the Dallas Morning News in 1943, he became the first Texas reporter to go overseas in World War II. He followed General Patton into Germany, and was one of the first journalists to enter Hiroshima after it was bombed. Wick was known for his friendly, outgoing personality, and was in demand as a speaker after the war. While continuing his news career, he started his own chili company and was one of the first competitors at the famed Terlingua chili cook-off. He resumed the role of news correspondent during the Vietnam war, and with several cases of his chili mix on hand, established the Da Nang Branch of the Chili Appreciation Society International. He accompanied H. Ross Perot to Vietnam in 1970 to seek the release of American prisoners of war. Wick traveled the world recording history, but he is better known for his role in the culinary history of Texas. Although the recipe on the box recommends simmering the mixture for about 30 minutes, the flavors are more developed if slowly simmered for about 90 minutes. 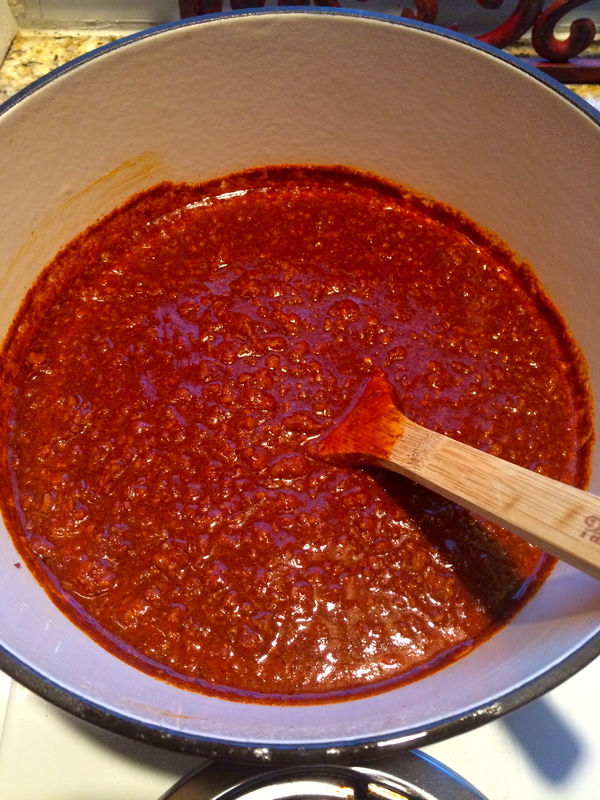 Alternatively, the chili mixture can be transferred into a slow cooker, and simmered on low heat for 4 hours. 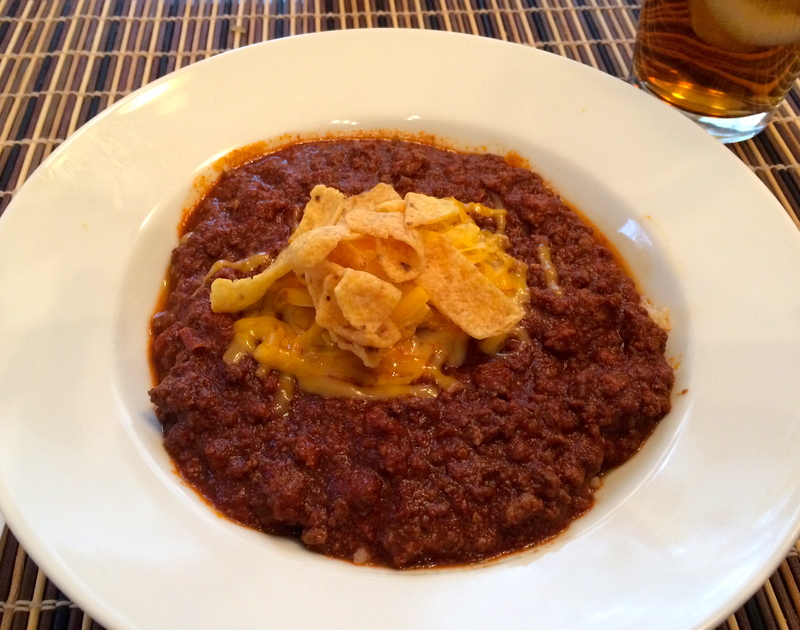 Honestly, we would have enjoyed an 80° sunny day, but our warm and spicy chili with Fritos® and freshly shredded cheese made today’s cold and dreary weather a little more bearable.